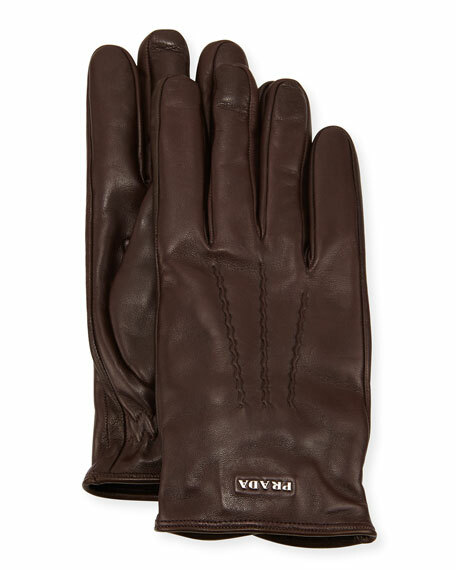 Prada seamed napa leather gloves. Golden logo lettering at back. For in-store inquiries, use sku #1541390. Exclusively ours. 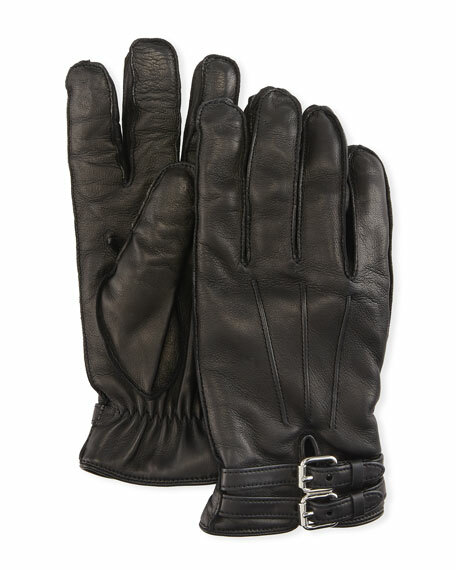 Guanti Giglio Fiorentino men's gloves in soft napa leather with double belt detail. Cashmere lining. Elastic cuff. Made in Italy. 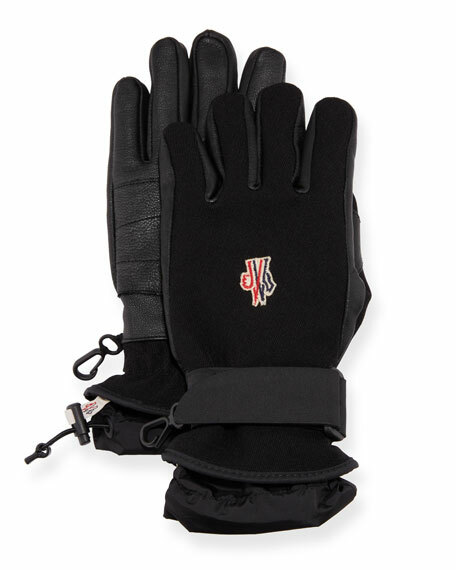 Moncler Grenoble technical gloves. Belted cuffs to keep pout cold. 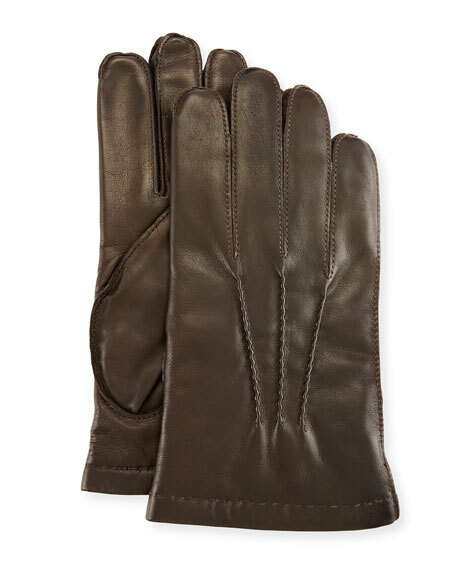 Genuine leather details palms. Logo patch at center. Nylon/viscose/spandex base. Polyester contrast. Made in Italy.